Taverns were a center of daily life in Colonial times. 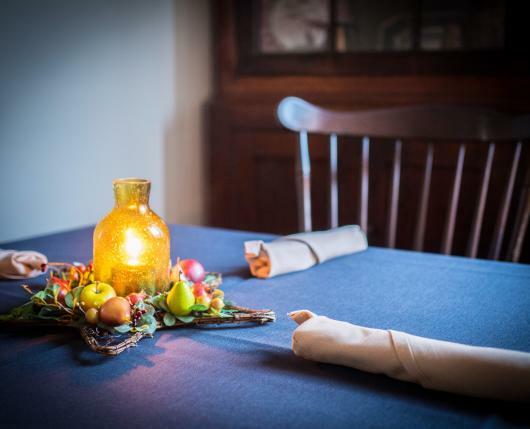 The Tavern at the Sun Inn continues in the tradition offering a Colonial-inspired seasonal food and beverage menu in a truly unique gather spot that is prefect for a causal meal or drink or any special dinner or event. The Tavern's culinary team is lead by Billy Gruenwald. 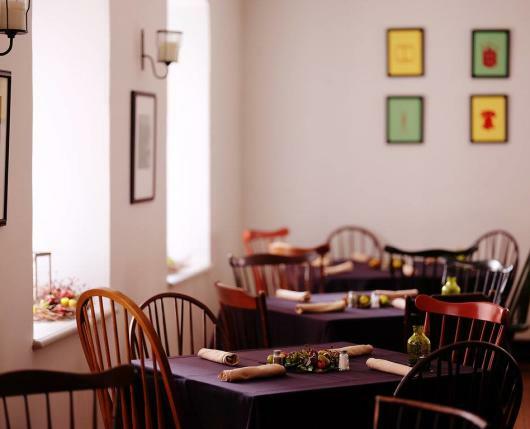 He offers a casual tavern-style menu that changes to match what is seasonally available and features some ingredients that would have been available to Bethlehem's founders. 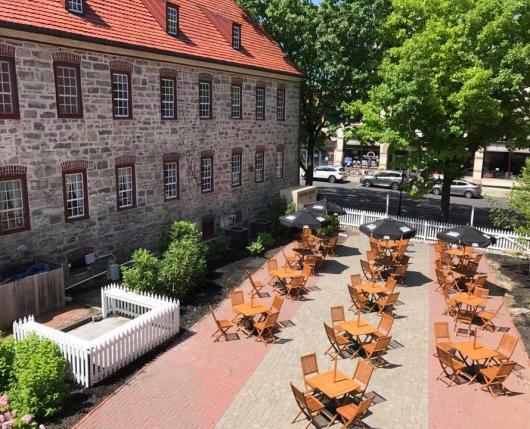 Lunch and dinner is served on the Sun Inn's second floor and light fare and drinks outdoors on the beautiful North Green when the weather permits. 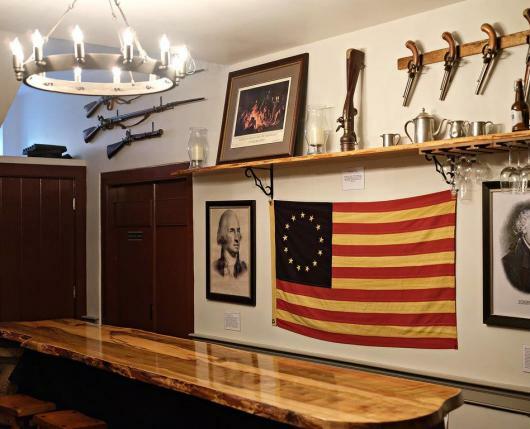 The Rathskeller Colonial Cellar is open in the late fall and winter for a truly unique experience. 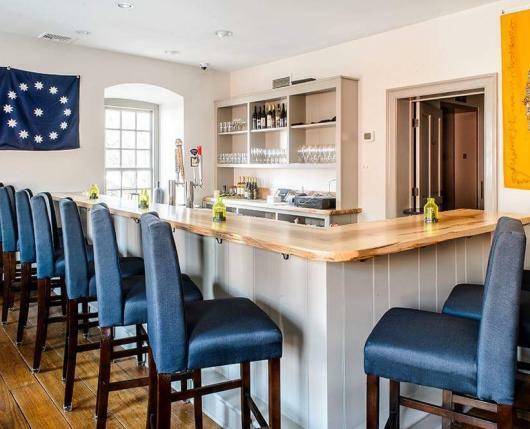 During the Revolutionary War, the Sun Inn's significance grew as it became an important part of Bethlehem and the United State's history such as George Washington, Martha Washington, Benjamin Franklin, John Adams, Samuel Adams, Ethan Allen, Alexander Hamilton, Marquis de Lafayette and 16 signers of the Declaration of Independence. In addition to spirits in the bar, the Sun Inn is home to spirits in the attic. Throughout the decades, visitors have reported seeing a young girl named Sarah as well as other former guests. The sightings have been confirmed by paranormal investigators,The Ghost Hunters. Parking is available on-street parking or in nearby parking garages at very reasonable rate. Hours: Wednesdays through Saturdays: Lunch 11 a.m. - 4 p.m., Dinner 4 - 10 p.m.